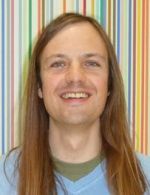 Dr Adam Johansen is a Reader in Statistics; his research focuses upon methodological and theoretical aspects of simulation-based algorithms. He is a group leader within the Data Centric Engineering Programme of The Alan Turing Institute: see the project page for more details and get in touch if you're interesting in becoming involved. He is an investigator within The CoSinES Project. He is course director for the BSc in Data Science. He is co-director of APTS. Current interests include Monte Carlo methodology, particularly sequential methods together with Bayesian statistics and decision theory more generally. Prospective Ph.D. students should feel free to email me to discuss possible research directions and might find the theses of some of my former students (available by following the above link) useful indicators of the types of project in which I am typically involved. (Pre)Publications to date are listed here. Selected recent additions are listed below. M. Pollock, A. M. Johansen and G. O. Roberts, On Exact and -strong Simulation of (Jump) Diffusions. Bernoulli, 22(2):794–856, 2016. [pdf|journal website|arxiv]. RcppSMC: An Rcpp library which has evolved from the above (currently version 0.2.1) ; the development version of RcppSMC lives on github and a google-groups-based discussion list also exists.